Senate Joint Resolution 4 passed through the Alaska Senate unanimously today. Sixteen senators voted yes to SJR4 which urges Congress to exempt legally obtained walrus, mammoth and mastodon ivory from other laws that ban ivory. Currently, the states of New York, California, Hawaii and Washington have their own legislation that bans the possession and distribution of all ivory. The Marine Mammal Protection Act protects Alaska Natives’ rights to harvest walrus and use the animal to create handicrafts for sale in the U.S. 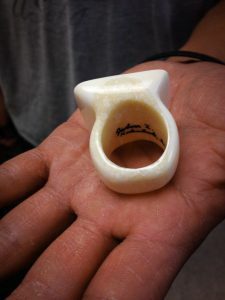 Despite these protections, local and regional, entities such as Kawerak, have pushed for this resolution to prevent what they see as harmful effects on the Alaska ivory market, due to a lack of understanding. Senate Joint Resolution 4 has been sent to the Alaska House of Representatives for consideration.